Hello and happy Wednesday… my favorite day of the week! 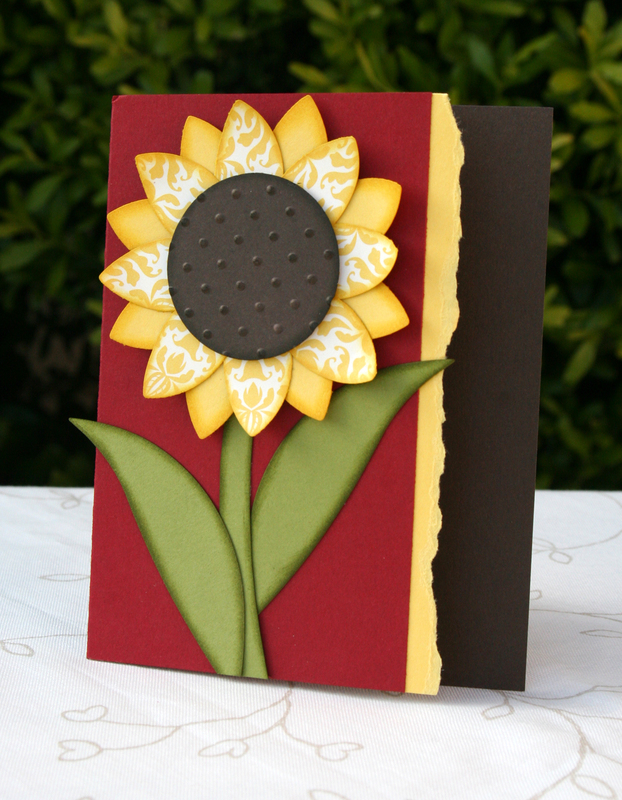 Just a short post today, this card is made using the Build a Blossom punch from the Occasions Mini catalog, which will be available to purchase in the upcoming 2011-2012 Idea Book & Catalog. This card is really easy and fun to make. Just punch out several petals and start gluing them to a paper circle. The front of the card is slightly shorter than the back which adds a little interest. It’s a really simple card, I hope it inspires you to make something for someone special. Jessica, I LOVE this card! So simple and yet so amazing! I am a fan of your ideas. I am getting supplies to case this right now. Thanks so much for the inspiration! Oooooh! I found you thanks to Tiffany Bauer’s crafty picks and just LOVE this adorable card! Jessica, dying to know which die you used for the flower!!! It’s killing me!!! Is It the Sizzix Originals Leaves #2? I love this card so much, especially the leaf!! Care to share??? PLEEEEAZZZZZEEE!!! !